Vision Worth Sdn Bhd is one of the pioneer manufacturers in Malaysia to produce solid rubber wood furniture in complete knock down system (CKD) for export. Over the past decade, we have gained wide international recognition as an established furniture exporter. Presently we are exporting to Australia, Asia Pacific & Europe. We are still robustly expanding in marketing our product worldwide. We specialize in home and contract furniture. 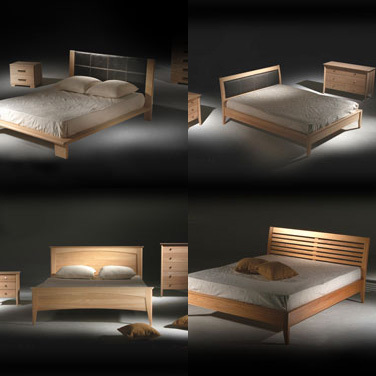 Our home furniture ranges include bedroom furniture complete with bed, nightstand, mirror, dresser, chest of drawers and wardrobe. We also make hall display cabinet, TV and hifi display sets, buffet and hutch, wall unit and coffee table. The company was awarded THE GOLDEN EUROPE AWARD FOR QUALITY 2001, PARIS, FRANCE. In the following year, The Council of International Awards presented to the company the CERTIFICATE OF BEST PERFORMANCE, 2002. With such an encouraging recognition that we have won, we are still continuing to develop more new and unique designs for our customers. To date, we have invested millions of dollars in installing latest machines. Recently we have moved to our new factory with the size of 13,000 sqm with more sophisticated machines with latest technology and a well organized production line with the total number of employees of 120 people. With this we can now ensure that we could speed up the production completion time and maximize the usage of raw materials. Our rich experience and expertise accumulated over the years which includes strong R&D, designing and substantial market share, and bears testimony in our success.